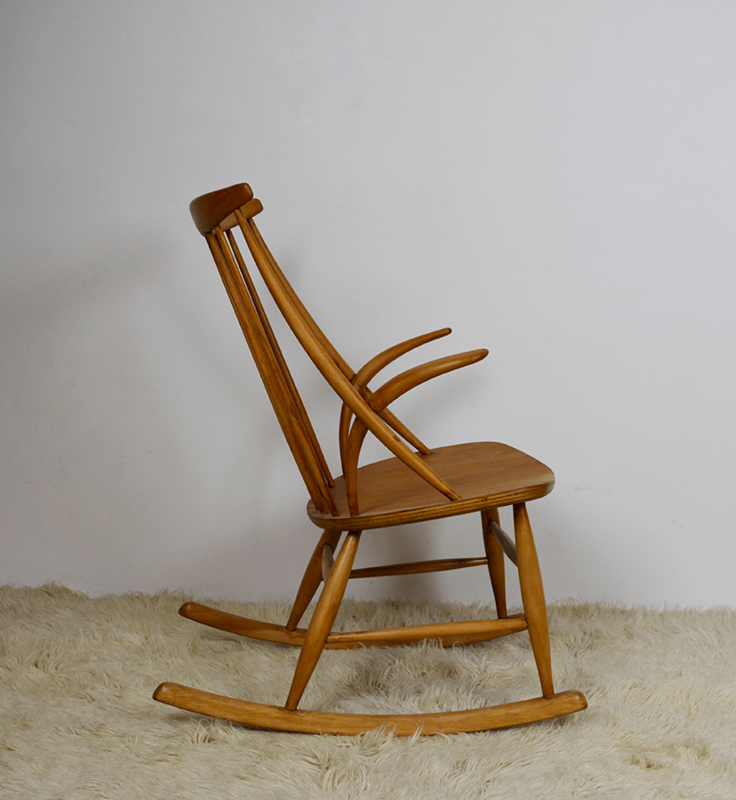 Mid-Century Danish IWE Rocking Chair, designed by Illum Wikkelsø. 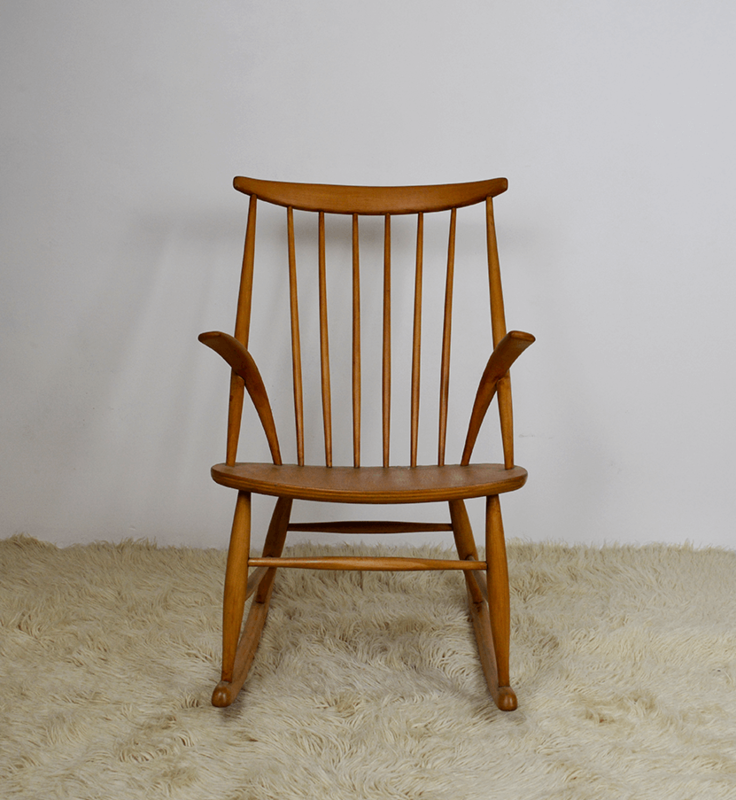 The chair has been fully restored, and the wood has been sanded and covered in natural Danish oil to expose the wood grains. 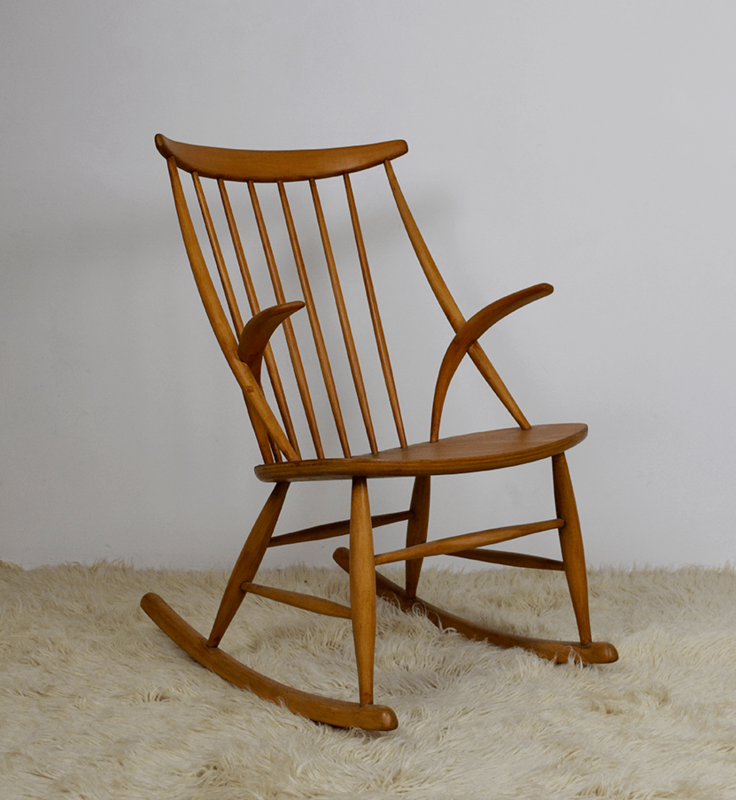 This vintage item is in very good condition.